Ring bell #2 for admission to building. Based on the work of world renowned trance healer and psychic Edgar Cayce, this workshop will teach you how to achieve altered states needed for trance healing. You will learn to attune to the highest spiritual and universal healing energy that is available to us in this world and from the world of spirit. The first part of this workshop focuses on learning to get into a receptive state to sense the subtle energy of other participants. Beginning with a gentle meditation to quieten the mind and spirit, become present in the moment, and reconnect with the self, you will then work in pairs to sense your own energetic state and that of another. This practice gives you an opportunity to pick up psychic impressions of mind/body/spirit issues in yourself or your partner that need healing. From there you will learn to blend with your spirit guides, your healing team in the spirit world, to allow healing energy to flow from them through you to your partner to where it is needed most. In the second part of this workshop, we will collectively blend with the healing power of the world of spirit. Working in a group intensifies our collective vibration which offers a powerful way for each individual to access the highest healing energy available. 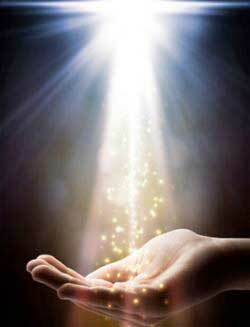 This facilitates the flow of intense healing energy to and through each person in the group. As the power intensifies, the energy will be built even more to be sent freely to those in need around the world. This power built by the group not only has a positive effect on the world, it also awakens your own spirit to the need to heal your body and mind. You'll leave this workshop with a long-lasting and profound sense of well-being and tranquility. 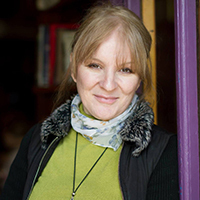 Karen Frances McCarthy is an international, accredited medium, published author, and public speaker, MA CSNU is an advocate of the ethical practice and healing potential of mediumship. She underwent years of intensive training at the world-renowned Arthur Findlay College in England and holds three awards, Certificates of Recognition, in mediumship, spiritual healing and public speaking from its governing body, the Spiritualist National Union. Know that it is not all just to live--not all just to be good, but good for something; that ye may fulfill that purpose for which ye have entered this experience.